To hear people say, "We have Shinshindo in Kyoto." Shinshindo is a bakery founded in Kyoto in 1913. The founder, Hitoshi Tsuzuki, was a Christian who learned the teachings of the Bible and modern thought as a pupil of a Christian educator Kanzo Uchimura, and founded Shinshindo, by saying, "Serve God and people through baking." 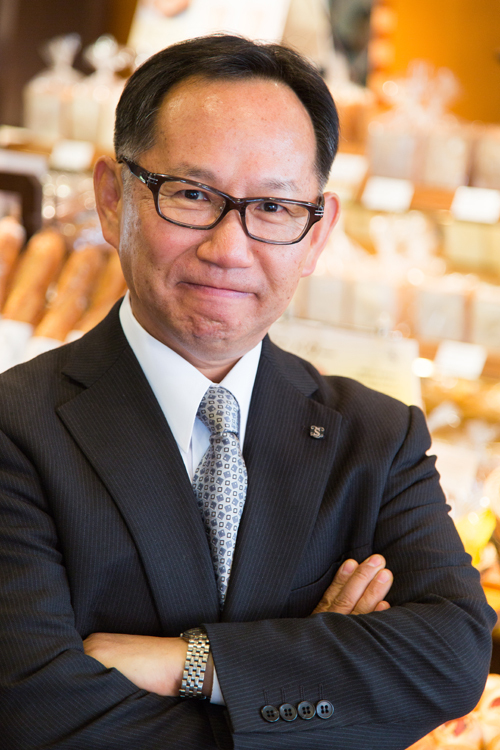 Having a deep knowledge of the French language and French literature, Hitoshi had a longing for authentic French bread and is also known as the first Japanese baker who visited Paris to learn about French bread. After returning home from Paris, Hitoshi imported a German kiln and started to manufacture and sell French bread, and established the foundations for the premier bakery shop in Kyoto, having tremendous support from the people of Kyoto in those days, who had an affinity for all things Western. For 100 years since that time, Shinshindo has moved forward, supported by such wishes as, "We want to make pure bread that is the source of life for all of our customers. We want to share with customers a life of good and plenty with bread." We will continue to make our best efforts to become a bakery that people in Kyoto, who are sensitive to real things and have a delicate palate, are proud of, by saying, "We have Shinshindo in Kyoto." Your continued support of Shinshindo would be very much appreciated. We will make efforts to provide the best goods and service to customers wholeheartedly and create a company that is beloved and respected by all of our customers. We will strive to cultivate our skills, increase knowledge, and improve our character to create a company that is strictly focused on business but friendly towards people. We will set up and comply with rules, eliminate any loss, and improve productivity to create a well-disciplined company with the potential for growth.